Home décor is one thing that everyone strives for even if the home is old. All you want to do is get the best designs for your house and decorate it to an extent that everyone loves it. Decorating your home can be done by different means where you can get a new furniture design or get your house painted or change the arrangements of your home. Another popular way to decorate your home is to get custom canvas prints for your walls in order to give them a new look. People often go for wallpapers or new wall paint but custom canvas prints is the new talk of the town that will beautify your home and also enhance its beauty. We will now take you through some of the top custom canvas Prints art that you may use in order to decorate your house. We have over the time used frames a lot for giving our photographs a space that they deserve. Be it your study table or your office table, there has been a picture frame every time. 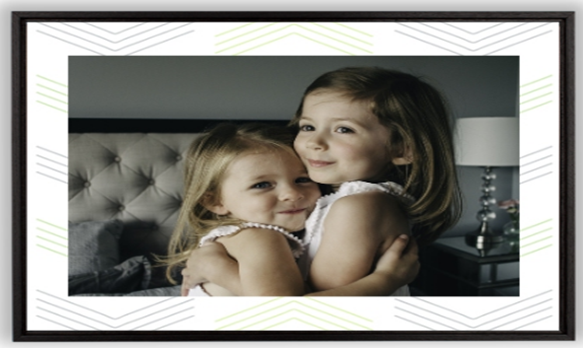 And now you can take this picture frame to another level with the help of framed canvas prints. You can get frames on your walls with the pictures being printed on it. The pictures can be of your friends, family, loved ones, or even your pet dog. It just needs to be customized according to your own requirement. You can get different types of frames for the framed canvas prints to create something magical out of nothing. While a normal photo may not describe the entire story of what is happening due to lack of space, a panoramic photo does that perfectly well for you. Panoramic pictures depict the entire thing of an image and if that can be portrayed on your wall then you can imagine how cool would it be. Demand for panoramic canvas prints is increasing every now and then with people wanting more and more of their space to be utilized through panoramic canvas prints. Some of the best examples of panoramic canvas prints include a college group print of last day or a big family wedding canvas print. There is no better way to decorate your own room with your own pictures. People dedicate a complete wall or two of their rooms where they just have photo frames of their own pictures. But out of all these pictures, there is one picture that stands out amongst all. Why not use that picture as your customized canvas wall art so that the beauty of your room gets a boost as well. The picture can be of anything, it can be from your wedding or your birthday or even from your graduation. The picture that is closest to your heart should go in the custom canvas print on your room wall. Because it is all about your room and home décor and you should be opting for the best one only. 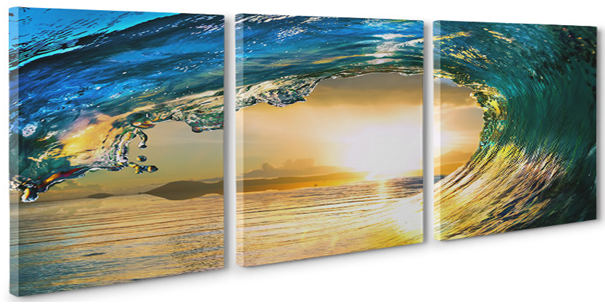 Up till now, all the custom canvas prints that we have discussed are 1 piece canvas print. But there is more to it as you can further increase the amount of pieces that you want. The three pieces split custom canvas print is used as a unique way to showcase your beautiful memories in three different frames. 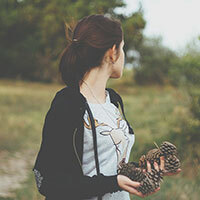 A single picture can either be split into 3 piece custom canvas prints or you can get three images printed on three different canvas with all the images being interrelated with each other and showing some sort of connection. You can also use more than 3 piece custom canvas prints as there are now 4 piece and 5 piece custom canvas prints also available. So rather than going for the old mediums of custom canvas prints, you can now go for these prints as well. Quotes and word art are often considered to be part of a motivation process that keep you proactive and focused towards your goals. People often keep photo frames of different motivational quotes on their tables but now you can get such quotes and word art right on your wall so that you can see it every when you enter your home. The word art can be related to your own writing or something that is written for someone special. It just does not have to be about motivational quotes only. You can get funny word art or some poem as your custom canvas word art. This particular custom canvas art is different from the other custom canvas art that we usually see as it is something different and does not contain any images like the other custom canvas prints that we have seen.